Jill Shipley’s Art I classes at Exeter – Milligan have just completed their “Where’s Waldo” project where they drew images of things they liked. The students worked on overlapping images, creating unity using different media, and balancing their picture with images and color. They hid a stick “Waldo” in their picture and it was fun trying to find them. 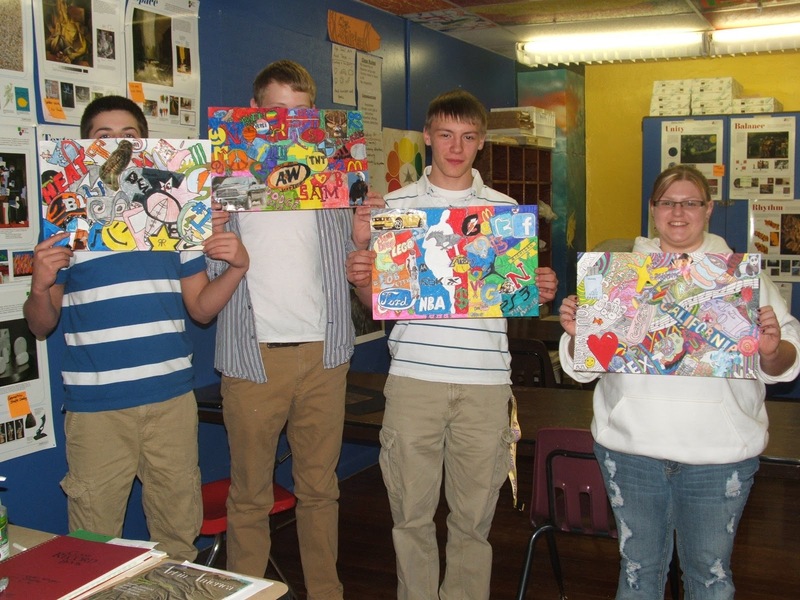 Pictured are the some students with their projects: Dusty Axline, Derek Luzum, Kyle Jensen and Brittni Kotas.